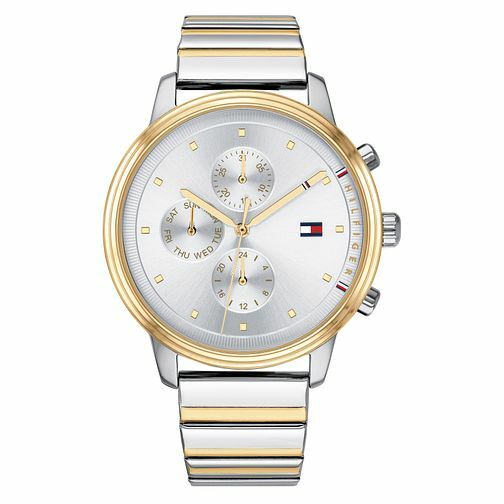 This sophisticated ladies' sports watch by Tommy Hilfiger features a stainless steel and gold ion-plated bracelet and a 38mm case with a silver and white multi-eye dial. The dial is complete with day and date indicators and the signature Tommy flag logo at 3. It is water resistant to 3 ATM and comes with a 2 year international warranty.